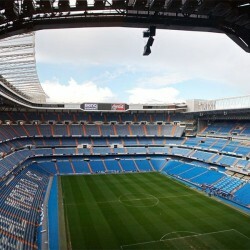 An enjoyable walk through a wonderful area, discovering the history of Madrid from the time it was chosen as the capital. 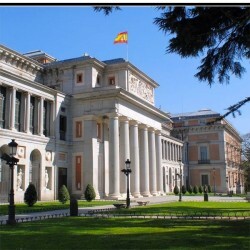 Our tour begins in PLAZA DE ORIENTE, where the ROYAL PALACE, LA ALMUDENA CATHEDRAL and famous ROYAL THEATRE are located. 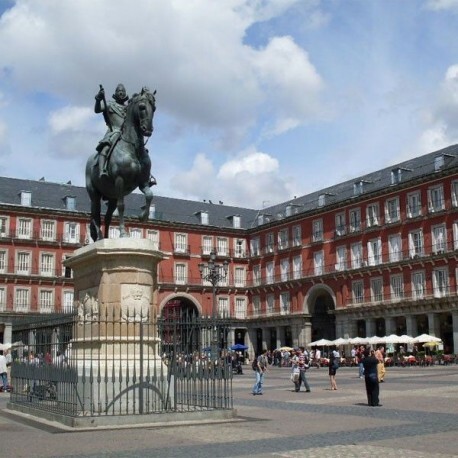 We set off for PLAZA MAYOR, one of the loveliest spots in the city. 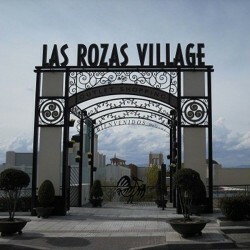 Our route takes us to Calle del Cordón, PLAZA DE LA VILLA, in the heart of Madrid, and the traditional San Miguel Market. We enter PLAZA MAYOR through Cuchilleros Arch. 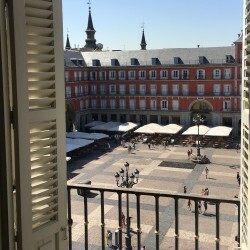 The area around the square is home to some of Madrid’s most famous restaurants: Botín and Las Cuevas de Luis Candelas, as well as a number of the capital’s tapas spots. 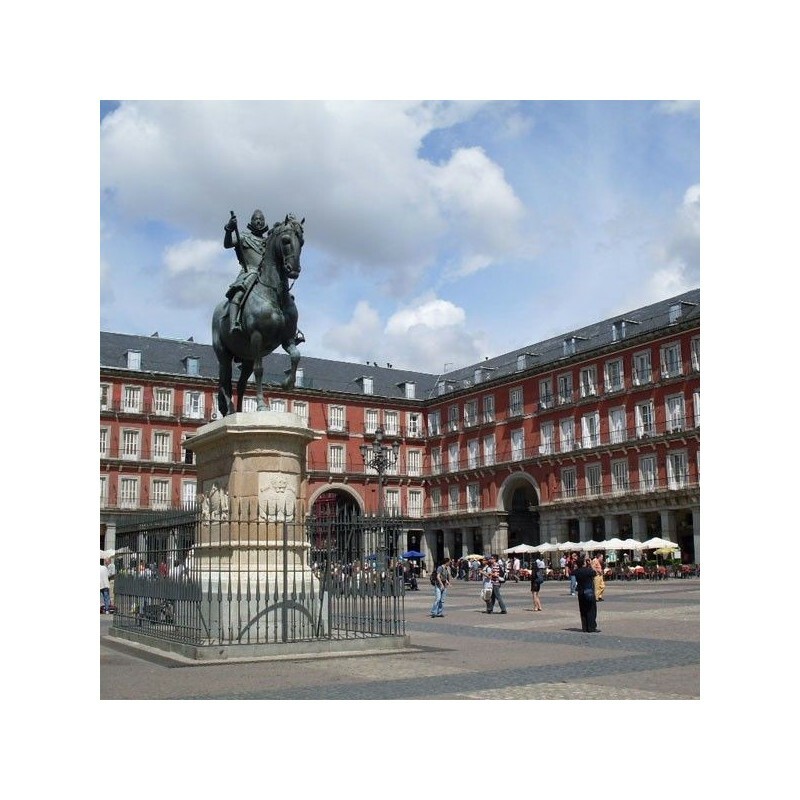 Once inside PLAZA MAYOR, we learn all about the history of this famous square. From there, we walk along Calle de la Sal to Calle Mayor, passing by the famous Chocolatería de San Ginés café. After walking through Puerta del Sol, we cross Calle Arenal and continue on to PLAZA DE CALLAO. This square offers one of the most spectacular viewpoints in the city. You can admire all the areas we have just walked through while enjoying traditional Spanish tapas (OPTIONAL). Shopping opportunity with completely exclusive items. The tour concludes back at PLAZA DE ORIENTE. You can also choose to stay and enjoy the view. 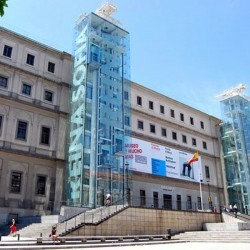 OPTION OF VISITING THE ROYAL PALACE or PRADO MUSEUM.